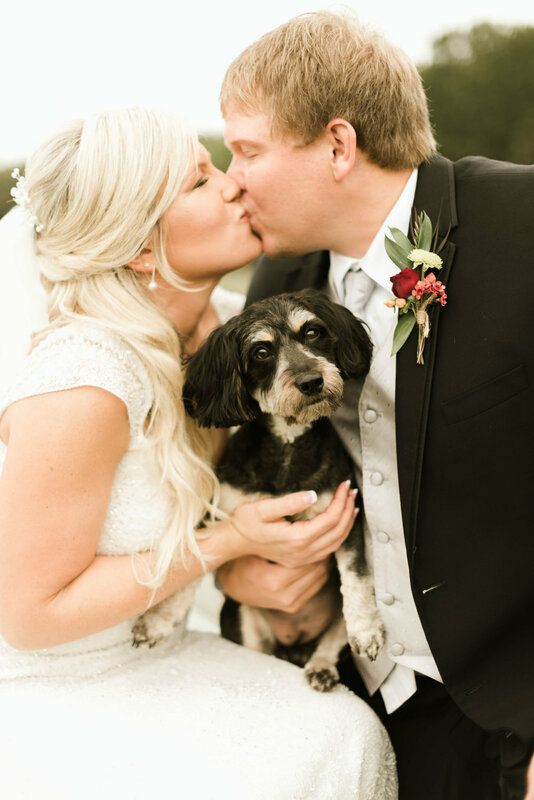 Whitney and Blake’s rustic, Fall wedding is such a beautiful representation of their individual personalities! When Whitney originally told us her vision for her day, she let us know she’s a High School English teacher and had found her "Prince Farming" (seriously the cutest, right???). 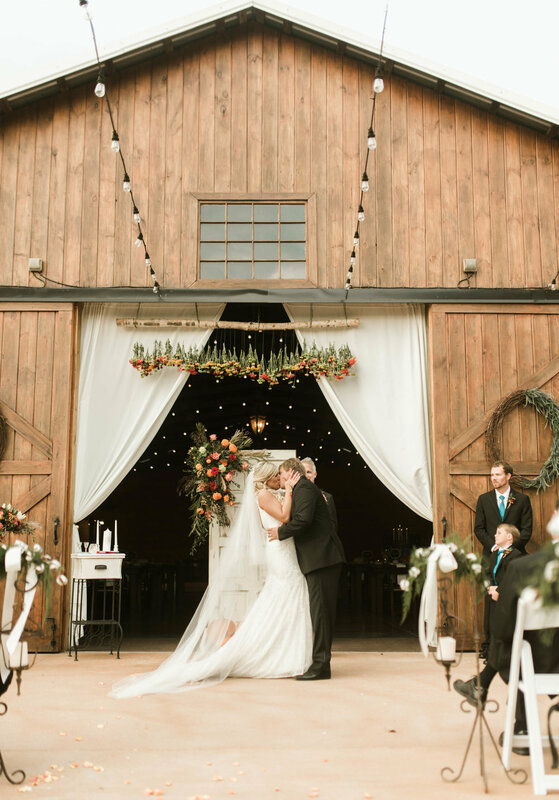 She was envisioning a rustic wedding with small details of literary elements, such as vintage novels as table decor, to highlight both of their passions! We can’t imagine a more gorgeous day for these two love birds. I mean, look at the ceremony altar installation! Perfection! [Gown Collective]l truly helped make my wedding dreams come to life. Every bride knows that her gown is one of the most important details of her wedding. Going in to [Gown Collective], I did not specifically know what type of gown I wanted, but after meeting with a consultant and trying on several gowns, I knew exactly what I wanted and found the perfect gown. [Gown Collective] topped off my gown with the perfect veil, which truly created the perfect look for me. I love [Gown Collective] and their caring, outstanding staff who go the extra mile for their brides!